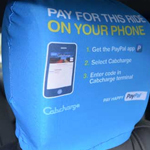 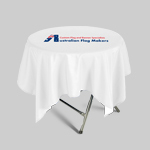 That doesn’t mean you have to forgo using a table cover altogether! 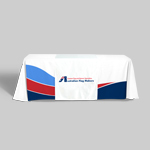 If you want setup your table and forget about it, our stretch table covers are the right solution for you. 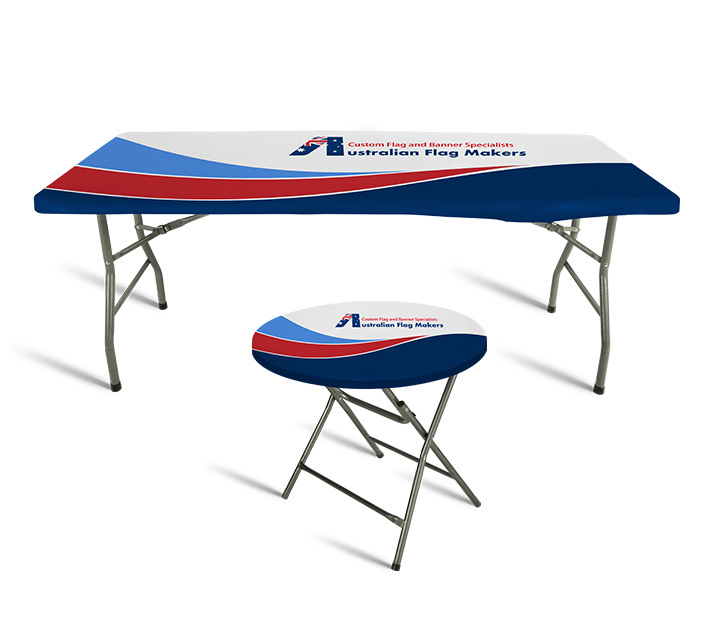 Because there’s no need to adjust the table cover so that your logo is placed just right, you can literally set up each table with a stretch table cover in less than a minute. 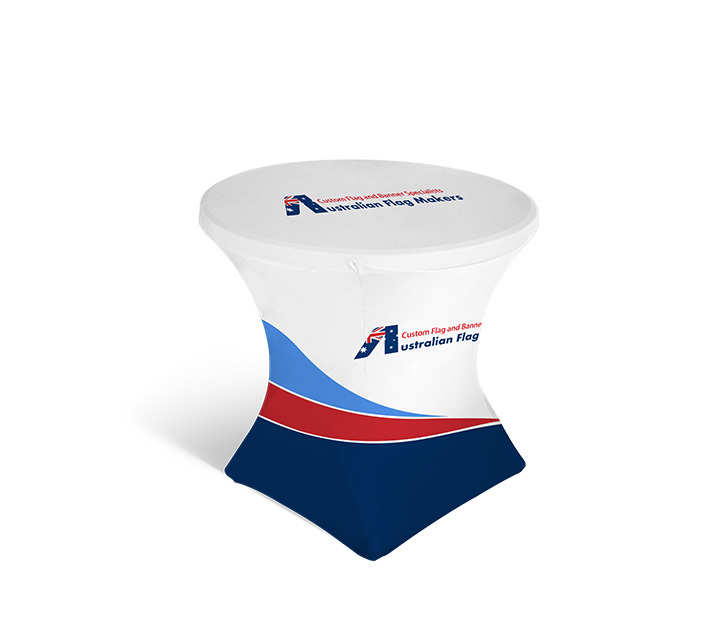 Our stretch displays are created to make it look like the table itself has been specially ordered, providing you with a classy presentation that is sure to garner attention. 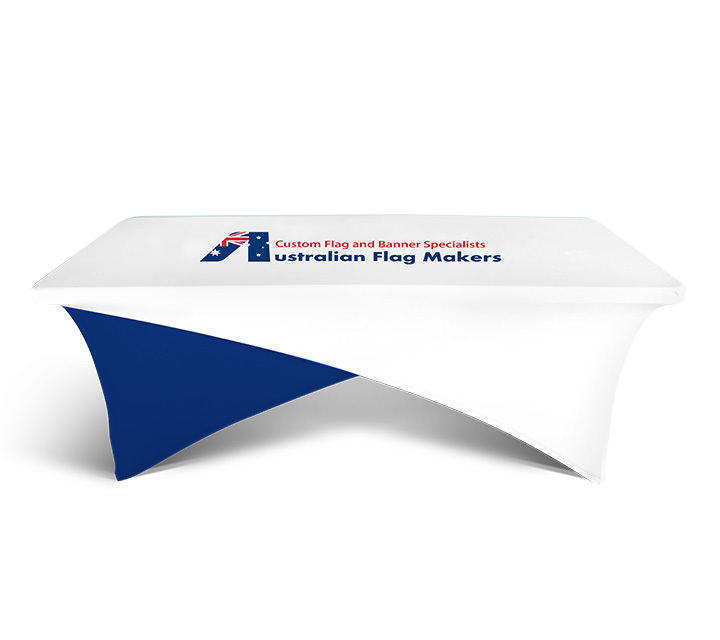 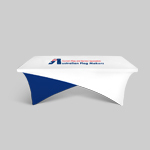 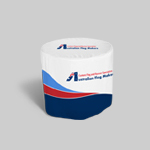 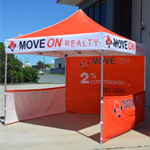 Because the stretch table covers from Australian Flag Makers are made to provide a custom fit, you can order them in any shape or size. 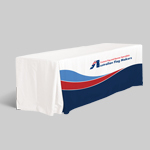 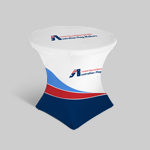 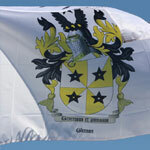 We have fitted stretch covers that are perfect for round tables and rectangular tables in all the most common sizes. 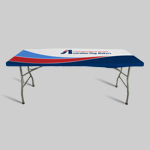 If you don’t see your size listed, you can custom order a stretch cover to be made just for you. 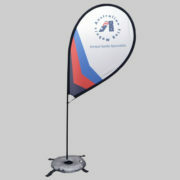 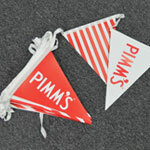 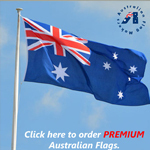 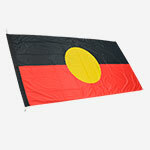 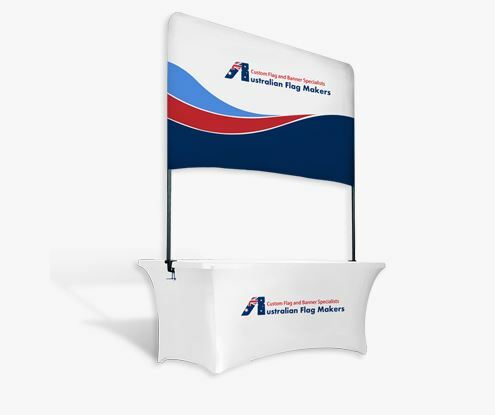 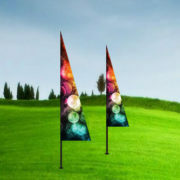 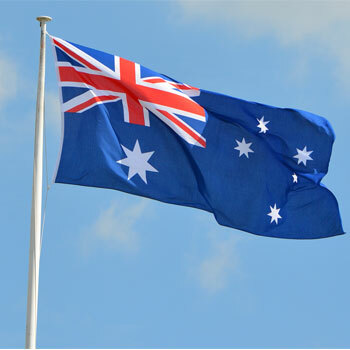 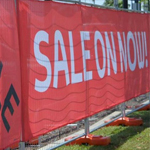 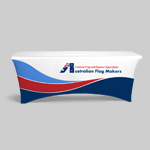 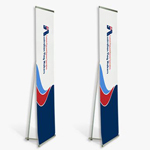 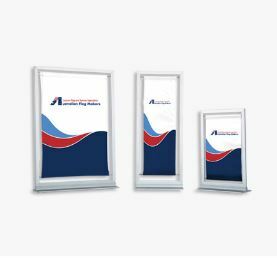 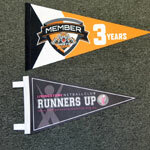 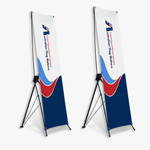 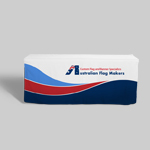 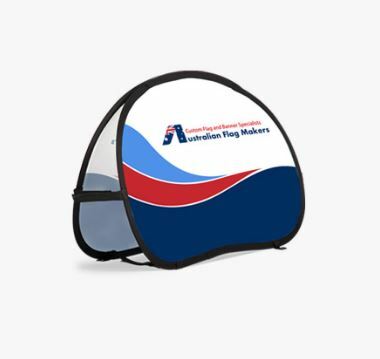 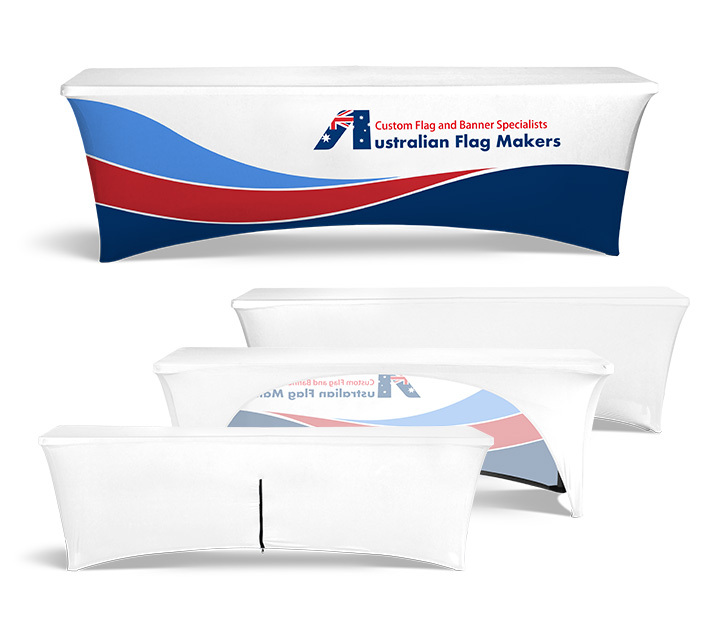 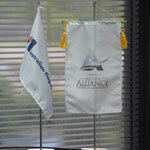 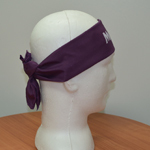 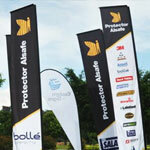 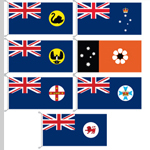 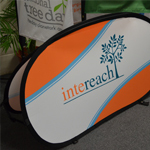 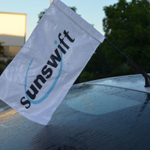 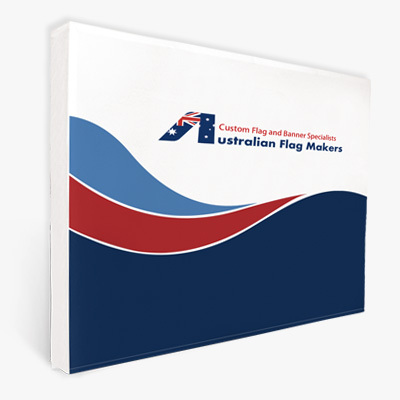 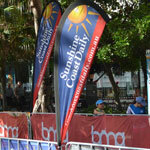 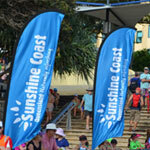 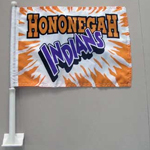 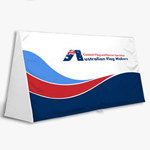 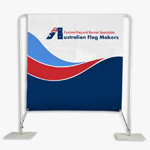 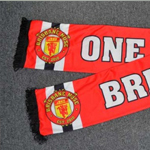 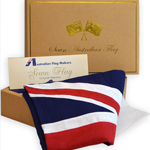 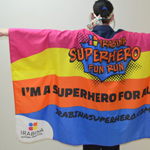 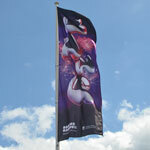 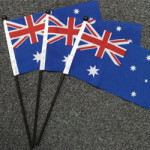 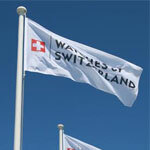 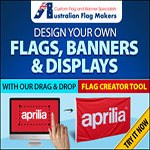 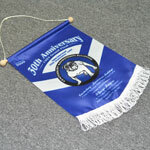 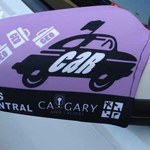 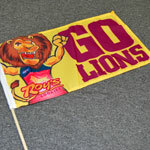 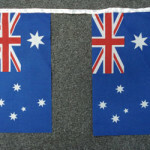 We partner with each and every one of our customers to ensure that the item they order from Australian Flag Makers meets their exact specifications. 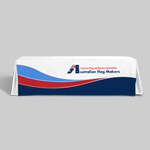 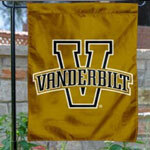 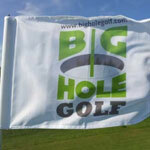 That means we can recreate an existing logo perfectly, or we can help you design a logo from the ground up. 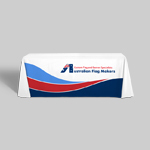 Getting started is as easy as filling out our custom form! 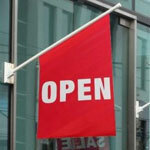 Tell us a little bit more about your project and we can have it on your doorstep in as little as 48 hours!